NLS Stitches - Journal - Today is the DAY! Woot!! 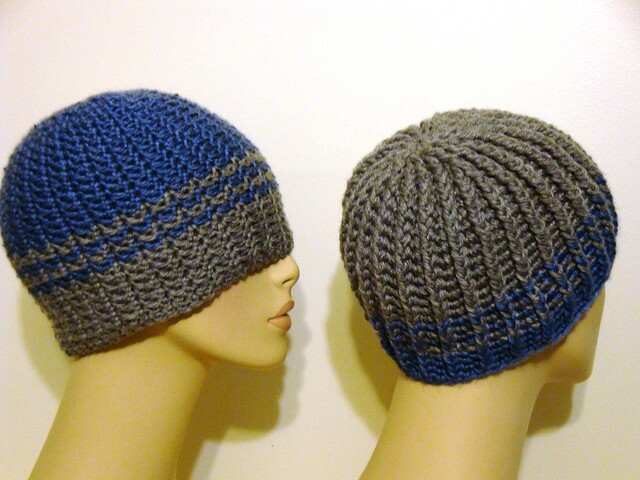 Today my pattern Reversible Strands for Men (and Women, too!) has surpassed the 3000 mark for being a favorite pattern! I. am. in. awe. of that fact! Never in my wildest dreams did I think something so simple as this pattern is become a favorite for that many people! Thank you, I am humbled. Wow!!! This is fantastic!!! Congrats!!!! I love the look of this hat. I've been trying to follow the pattern, but the work so far just looks like a big mess, and I'm not sure if I'm doing it correctly. If you ever make a video tutorial, I'd love to check it out so I can figure out if I'm doing it right! Blessings! Thank you vry much for providing this pattern to the public. This is a very nice pattern. I used the pattern with 2 contrasting colors and it worked out perfectly. I currently making another one and using alternate colors such as the picture in the swirl pattern. I seem to have come to a point I can't figure out. Around row 13ish ( the thin solid black or blue row) is that a slip stitch around or sc? Once that round is complete, how do I contiune on the same pattern? I'd appreciate the input. Thank you vry much!